Schaefer Yachts equipped with SecuriFire: Located in Southern Brazil, luxury yacht builder Schaefer Yachts manufactures motor yachts up to 24 metres in length. Founded in 1992, the luxury yacht builder helped to establish the Santa Catarina area in Southern Brazil as a yachting hub. The shipyard made its mark with the Phantom line of luxury motor yachts and grew to become one of the country’s largest boat manufacturers. 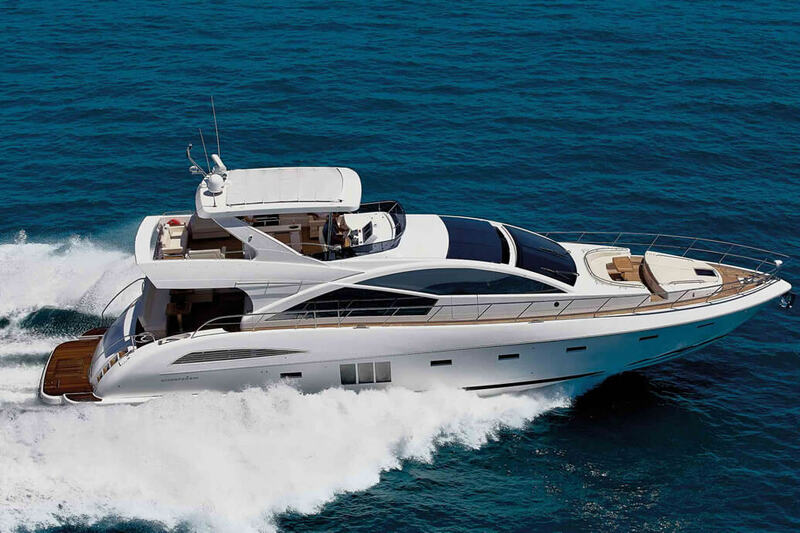 Today, there are more than 3,000 Schaefer luxury yachts around the world. Schaefer Yachts collaborates on the design of some its luxury yacht models with major international design studio Pininfarina. The Brazilian luxury yacht builder manufactures performance motor yachts utilising infusion technology in order to create minimal waste for the environment. The Schaefer 830 model brings design and technological advantages that serve as an example for the industry sector worldwide. Its range of 300 miles with its 3 Volvo IPS engines of 1200 hp combined to its cutting-edge engineering, unique design and infusion production technology, ensure performance, durability and a comfortable navigation. Its four bedrooms and lounge that includes dining and living room translate all the sophistication offered to a different audience. The yacht also contains a garage for personal watercraft and inflatable boat up to four meters. Securiton’s partner Engesul has installed SecuriFire 500 fire alarm panels including some SecuriStar fire detectors in two of the Schaefer 830 models.